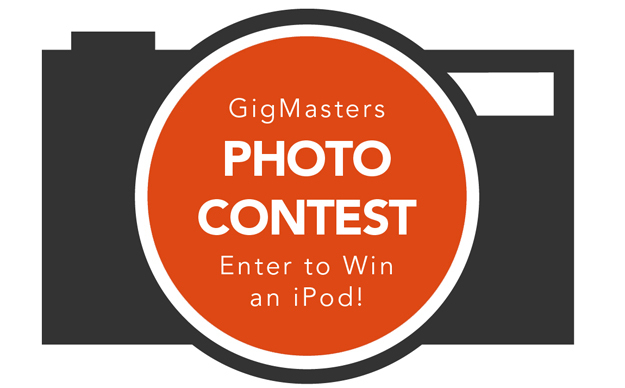 Photo Contest - Enter to Win an iPod! Calling all musicians, comedians, DJs, magicians, impersonators, party vendors, balloon twisters, harpists…and anyone else who doesn’t have stage fright. We're looking for your best headshots, promos, band photos, or live performance pics. 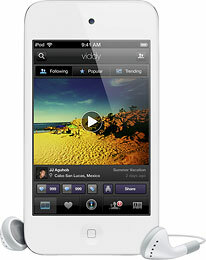 Enter below now to win an iPod Touch! - In the comments below, enter your entertainer name and a link to your best photo(s). - OR visit our GigMasters Facebook page and post your photo(s) to our wall. This is open to any entertainer or party vendor with a great promo or performance photo. You can enter as many photos as you'd like. To see some examples of what we're looking for, check out this member photo gallery. The voting will be open September 19th to the 27th on our Facebook page . Anyone can vote, so we'll need your help to promote this through your networks! If your photo gets the most votes, you will win an iPod Touch! Launched in 1997, GigMasters has provided live entertainment for over 160,000 special events — weddings, corporate events, kids' parties, festivals and more. Today, GigMasters has over 10,000 members with everything from bands and DJs to celebrity impersonators and balloon twisters. If you're interested in getting MORE GIGS today, visit GigMasters.com. If you have any questions, please ask below. We'll be keeping a close eye on these comments!